Material is a 300 series stainless steel noted for its outstanding resistance to corrosion. All coils are permanently marked with the thickness. STYLE FC – Coils are clearly marked with thickness every 6″ and are packaged in a clear reusable plastic container. NOTE: .0005 and coils over .030 do not have the size marked on the material. 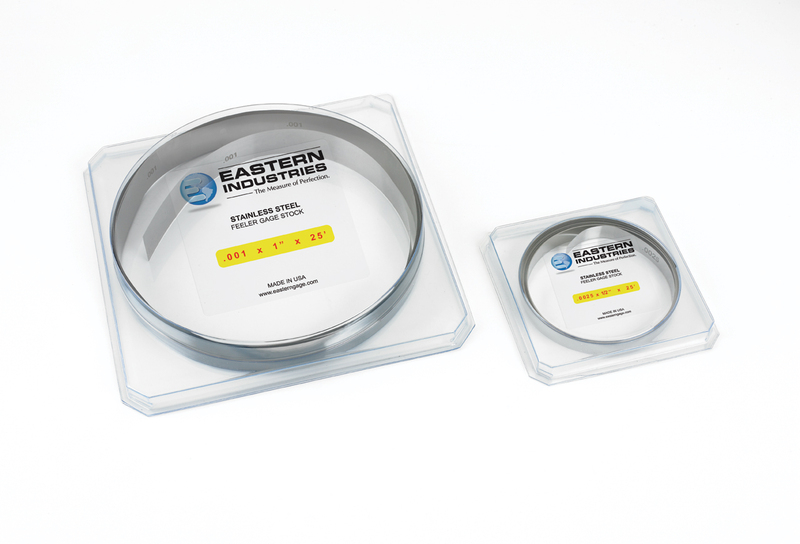 Eastern Industries’ professional grade gages. Click on GC Series logo for more information.